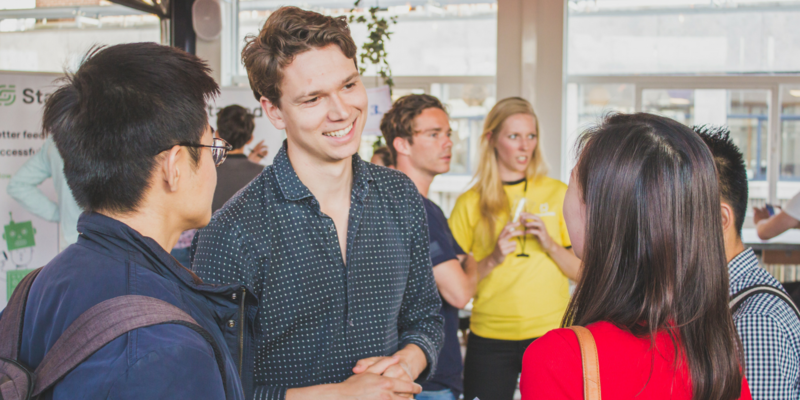 After the roaring success of our last Startup Job Fair with +300 job seekers and 18 hiring startups, we're excited to kick off our first edition of 2019 when we'll bring together the hottest tech startups in Amsterdam and the best talent in the city looking for a new challenge. If you’re a job seeker who's flexible, creative, driven by making change and looking to join a team of innovative, industry-disruptive people, sign up via the registration link and join us on 6 March. The fair is open candidates of all levels and disciplines to join - both students & graduates looking for internships or entry-level positions, and people further along in their career looking for their next full-time position. Find out more about some of the startups that will be exhibiting at this edition using the links below. More to be added soon! TQ is a curated tech hub in the heart of Amsterdam, founded by TNW. We help push tech startups towards exponential growth by providing our residents & members with the right community, events, and facilities. Also, the occasional hug.